Listen…You can’t do this alone. It doesn’t matter if your company is a team of 1 or 10…Being spread too thin is burning you out and killing your business. You know it’s time to get more help. 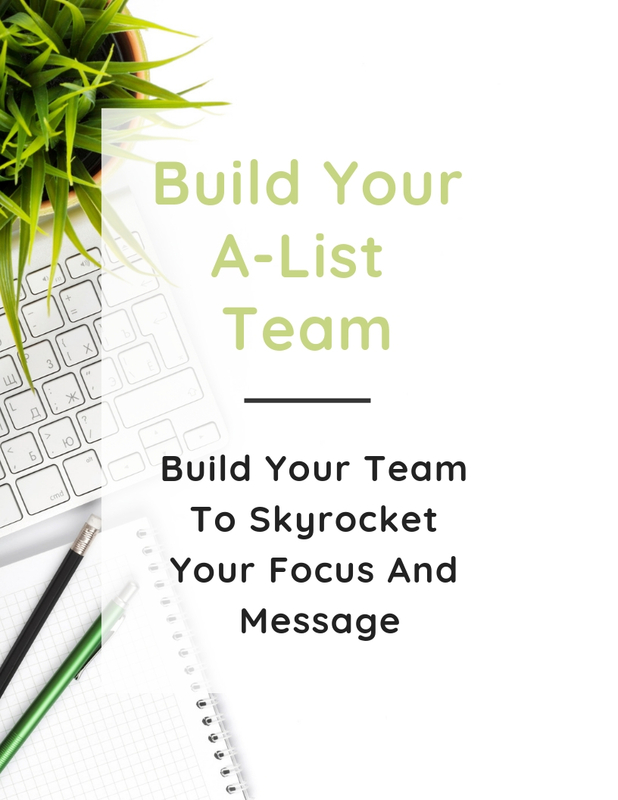 You want A-List people on your team to skyrocket your focus and message. A stellar team will give you more hours to be the CEO and more momentum in your business. It’s time to find the RIGHT people, set up systems and grow a self-motivated team. And be notified when Theresa has more FREE team building posts and training! You have knowledge or expertise that you’d like to share online, but you have no idea how to create a course, membership or workshop online. Or you’re a blogger, author or instructor who would like to leverage your existing content and market it in a way that actually brings a profit. You’re frustrated and overwhelmed by all the info you see online about digital marketing. You want straight talk from someone who has done exactly what you’re looking to do. In other words…You want a roadmap and game plan! Listen, I’ve got your back because I was once where you are now. Years ago, I wrote, traveled and taught food crafting, gardening and urban homesteading all over the country…even on TV. But all that effort was not bringing in the big bucks. 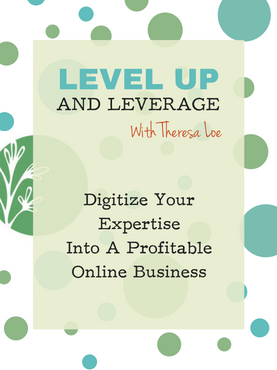 So I switched gears and leveraged all my expertise into online courses, workshops and even a membership site. Today, I have a very successful 6-figure business doing what I love to do in the food and garden niche. I share the same info I was sharing before – but to a MUCH wider audience online. I can now make money from anywhere doing what I love to do! And I’ve pulled back the curtain and taught many, many others exactly how I did it. My students are having the same success I have seen. In fact, a few have gone on to make more than I do now! I’ve taught garden writers, cookbook authors, fermentation experts, dog-trainers, farmers, photographers, wellness experts and more. And I can help you too. The doors to my Level Up and Leverage Program are currently closed. Current students can log in HERE. 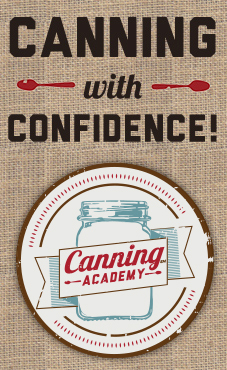 The Canning Academy® is an online (self-paced) training designed to take you by the hand and walk you (step-by-step) through the world of jams, jellies, fruit preserves, pickles and tomatoes. Listen…the idea of canning can be intimidating if you don’t have someone to show you the ropes. It looks hard and complicated. And then of course, there’s the worry about poisoning somebody. Sheesh! But fear not! The Canning Academy is your safety zone. Be transformed from a newbie, fearful canner to an experienced, confident canner who knows all the cool advanced tricks to capture seasonal flavor. The doors to the Canning Academy only open to new students a few times per year. Current students of the Canning Academy can log in HERE. An online monthly membership to help you master the skills of small-space food growing, artisan food crafts & a balanced farm-fresh lifestyle. Listen…Organic, wholesome food should be easy. But the truth is…You need a unique skill set in order to have local, organic produce at your fingertips and home-crafted foods (like fermented veggies and homemade yogurt) at the ready. 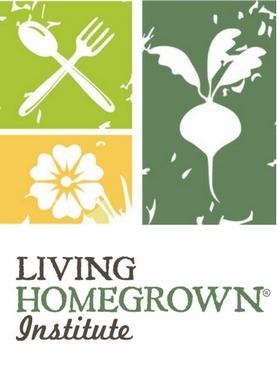 The Living Homegrown Institute helps you build those skills in a fun, supportive environment filled with monthly Masterclasses (taught by Theresa and other top organic experts), Step-by-Step Lessons and Mini-Trainings for quick wins. You learn everything from heirloom tomato growing to fermenting and cheesemaking. There are video workshops, articles and PDF worksheets. And a private Facebook Group to share wins and gain support. Membership only opens a few times per year. Sign up to be notified of the next opening! Current members can sign in HERE. FINALLY! 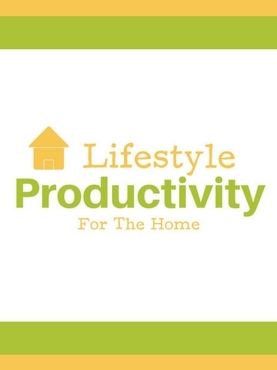 A productivity course specifically geared toward gardeners, homesteaders and foodies. In this course, you learn to be more efficient at home so that you have more free time to do the things that you love! Sign up to be notified when this course re-opens.